Siberian huskies are known for their wolfish good looks, but deep down, they're all dog. 1. Huskies are born to run. When the semi-nomadic Chukchi people of Siberia had to expand their hunting grounds some 3000 years ago, they sought to breed the ideal sled dog. These dogs had to have endurance, a high tolerance to cold, and the ability to survive on very little food. The resulting pups could carry loads over long distances without food or warmth. While there is controversy as to how pure the lineage is, Siberian huskies are widely believed to be the closest to the original Chukchi dogs. 2. Their skills impressed Alaskans. Huskies made their American debut at the second year of the All Alaska Sweepstakes Race in 1909. Rumor had it that these canines were superior sled dogs; they proved the gossip true by dominating the racing competitions in Alaska for the following decade. 3. 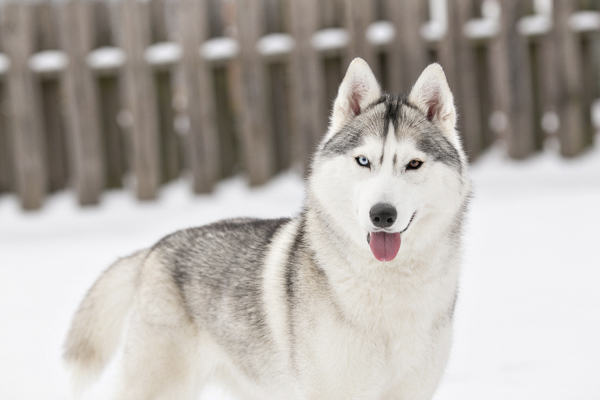 A lot of features help keep them warm.Huskies have a thick double coat that keeps them well insulated. Their undercoat is short and warm, while the overcoat is long and water-resistant. Their almond-shaped eyes allow them to squint to keep out snow. 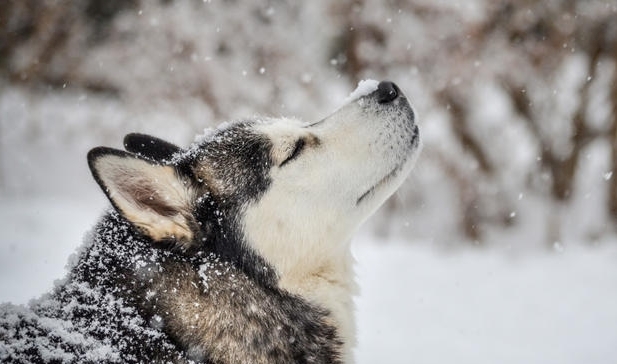 Huskies will wrap their tails around their faces while they sleep; their breath warms the tail and keeps the nose and face protected from the cold. 4. A group saved a small town in Alaska. 1925, the children of Nome came down with the widely feared disease called diphtheria. The closest anti-toxin was 1000 miles away in a hospital in Anchorage. The train could only take the medicine so far, and it was up to mushers with teams of sled dogs to transport the package the remaining 674 miles. Twenty mushers and their sled dogs battled the bitter cold in a relay to get the medicine there safely. It took 127.5 hours to complete the mission, but the medicine made it to the village. The final leg was completed by a black Siberian husky and his team. When finally reaching their destination, the dogs were hailed as heroes and appeared in newspapers across the country. 5. They’re not great watchdogs. 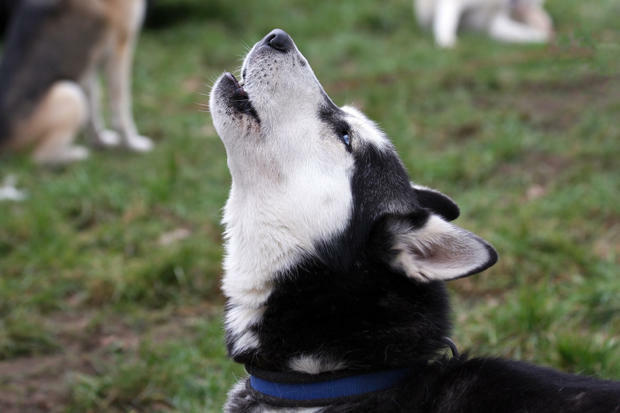 Huskies are not one-person dogs—they're unsuspicious and friendly to strangers. This can be charming, but it's not very helpful when you’re looking for a canine sentry. Of course, their fierce wolf-like features might be enough to deter any intruders. 6. Huskies don’t get fatigued. Huskies often run long distances on very little food. When humans attempt this, we start to use our body’s glycogen and fat and eventually get fatigued. But huskies burn a lot of calories without ever tapping into these other energy stores—and they do this by regulating their metabolism. 7. You need to watch them closely. These pups love to run and explore. They're known to be escape artists and are capable of digging under fences and slipping out of leashes. 8. The army used them. During WWII, the army employed the pups as search and rescue dogs. They were also used for transportation, freighting, and communication. 9. They’re closely related to wolves. Studies say that the shiba inu and the chow chow share the most DNA with the grey wolf. Coming in near the top is the Siberian husky. That said, huskies are domesticated dogs and have evolved separately from their wild cousins for thousands of years. 10. Blue eyes make them distinct. 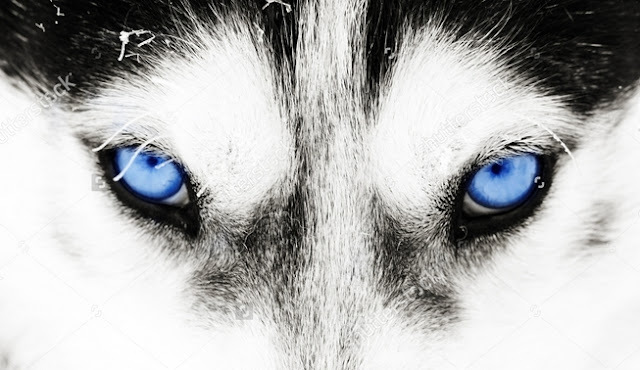 Not many dog breeds can boast piercing blue eyes. Some dogs—like the Australian shepherd or Weimaraner—have them thanks to the merle gene, which results in the loss of pigmentation. But huskies can have bright eyes without that gene. Responses to "10 Warm Facts About Huskies"